Jayoung Yoon is a New York based artist born in South Korea. Her work has been exhibited in numerous museums and galleries, including The Bronx Museum of the Arts, Bronx, NY; San Jose Museum of Quilts & Textiles, San Jose, CA; New Bedford Art Museum, New Bedford, MA; Ohio Craft Museum, Columbus, OH; Delaware Center for Contemporary Art, Wilmington, DE; Hudson Valley Museum of Contemporary Art, Peekskill, NY; Marc Straus gallery, NYC; Here Arts Center, NYC; Coreana Museum of Art, Seoul, Korea, and Seoul Olympic Museum of Art, Seoul, Korea. She was awarded the Ora Schneider Regional Residency Grant, the BRIC Media Arts fellowship, and the Franklin Furnace Fund. 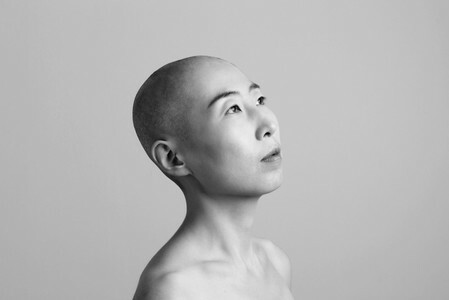 Yoon has participated in residencies at The MacDowell Colony, Skowhegan School of Painting and Sculpture, Millay Colony for the Arts, Lower Manhattan Cultural Council’s Swing space, Anderson Ranch Arts Center, Sculpture Space, Vermont Studio Center, I-Park, and Saltonstall Foundation, among others. Her work has appeared in various publications, including The New Yorker, The Paris Review, Hyperallergic, Artnet News, Surface Design Journal, and Fiber Art Now. She received her MFA from Cranbrook Academy of Art in Michigan and her BFA from Hongik University in Seoul, Korea.